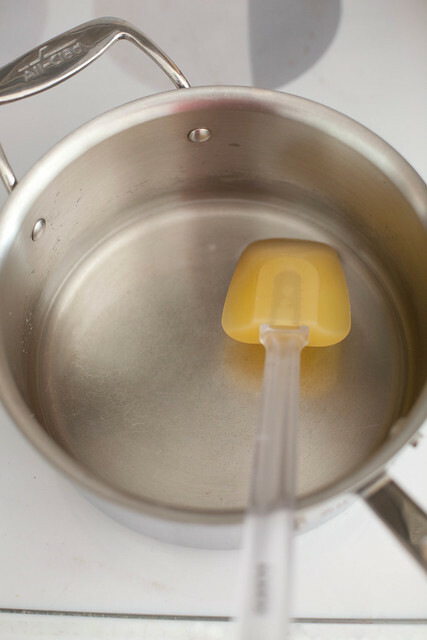 First, combine equal parts sugar and water in a saucepan. I use ½ cup of each. Heat over medium-low heat, stirring occasionally, until the sugar is fully dissolved. That’s a simple syrup! Remove the pan from the heat and let cool briefly. 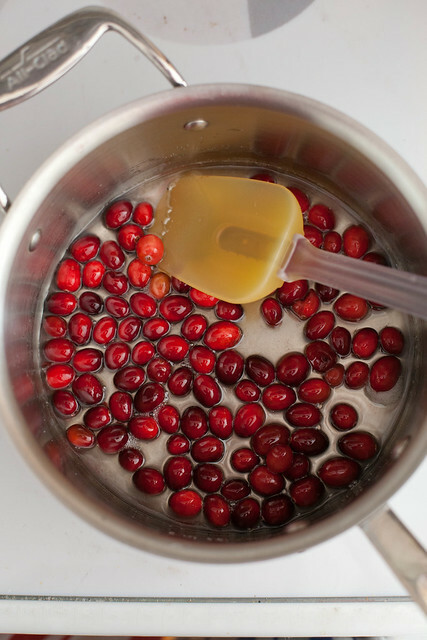 Add cranberries to the syrup and stir gently to coat the berries fully. I use 2 cups and do this in two batches, 1 cup at a time. 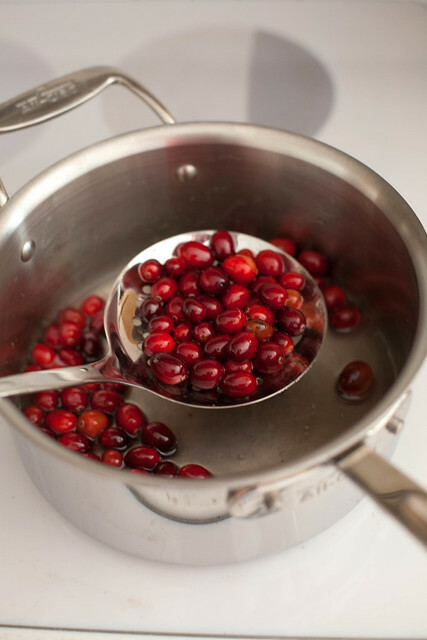 Use a strainer or slotted spoon to remove the berries from the pan and drain the excess syrup. 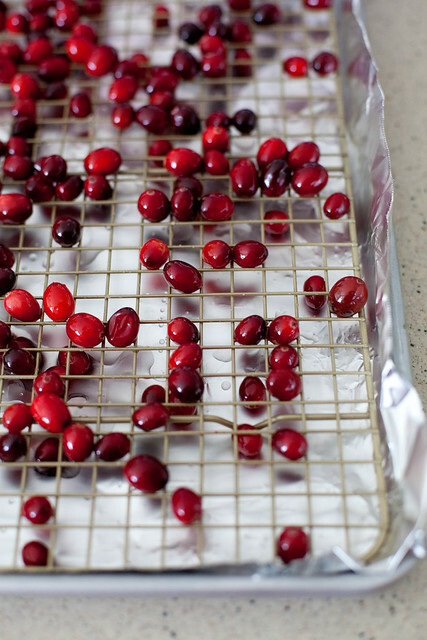 Transfer the berries to a rack over a baking sheet lined with foil. If some of the smaller berries fall through, it’s really not a big deal. They’ll still be fine when you coat them. Let the berries sit to dry for about 1 hour. This essentially makes them sticky so that the sugar will coat them well. 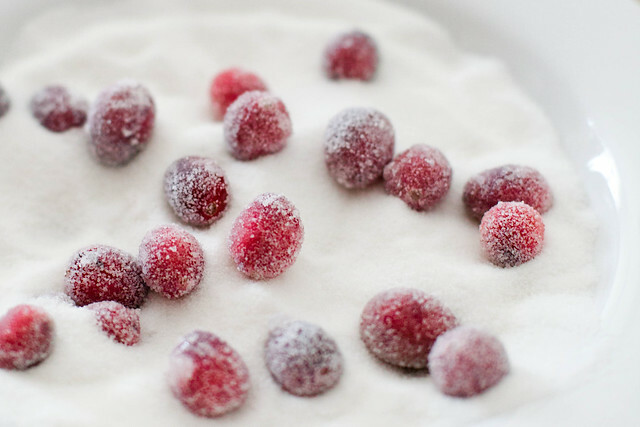 Then working with a handful at a time, place them in a shallow dish of sugar (I use regular granulated sugar) and roll them around gently until they are fully coated. 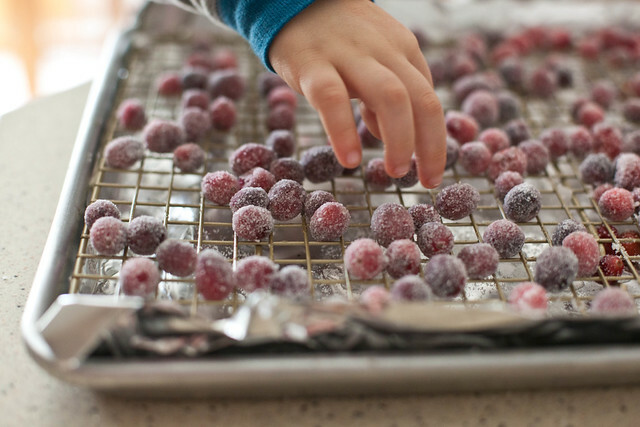 Transfer them back to the cooling rack and repeat with the remaining berries. I cannot get over how pretty they look once they are coated. 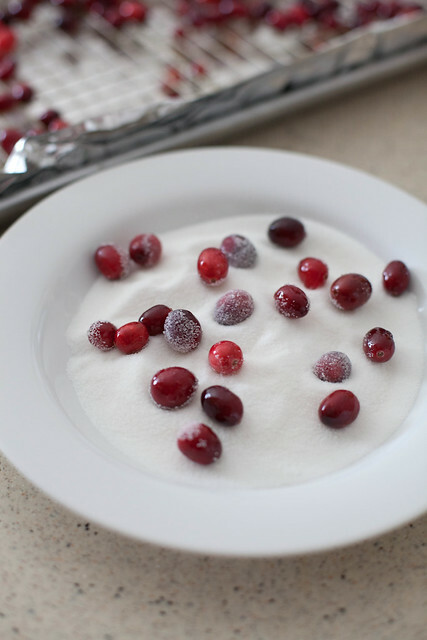 I’ve always had a penchant for sparkly things and apparently that even applies to cranberries. Once they are done, the only challenge is keeping little fingers from sneaking them away. Who am I kidding though? I do the very same thing. The sweet-tart flavor play is kind of addictive, and makes you want to have just one more. Store them in an airtight container in the refrigerator for up to 1 week. These lovely little gems can be used in so many ways – to garnish desserts, dress up savory bites, or to simply be enjoyed on their own. 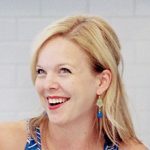 I’d love to hear what you do with them!